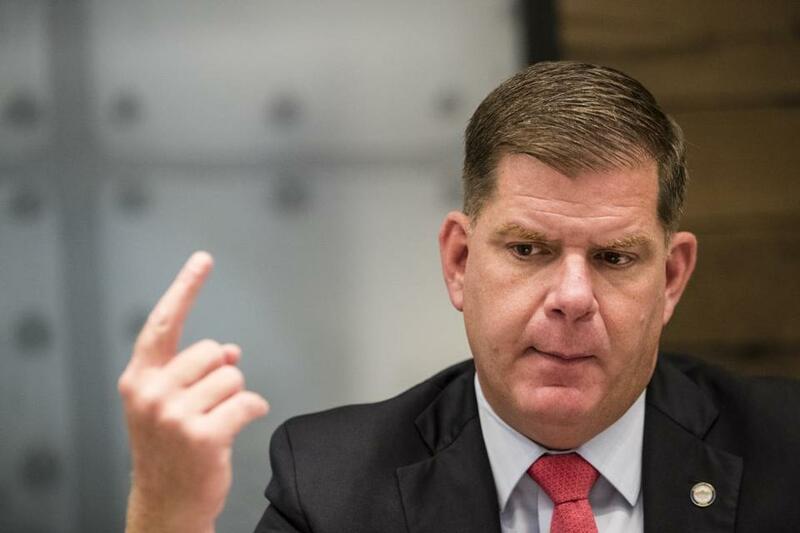 Mayor Martin J. Walsh said he hopes the plan is a “historical turning point” for the city. Mayor Martin J. Walsh presented a new plan Tuesday to prevent youth substance use that he said he hopes marks a “historical turning point” in Boston. The 62-page document highlights the need to address racial, ethnic, gender, and economic inequities that contribute to substance use among youth. It acknowledges that young people of color often experience disadvantages in trying to access treatment and support. The report recommends focusing on the issues underlying substance abuse. Walsh, introducing the plan at City Hall, contrasted this approach with the “Just Say No” campaigns of the ’80s and ’90s, which the mayor said failed to address the reasons young people turn to drugs and alcohol. Jennifer Tracey, director of the city’s Recovery Services office, said the intention is to get away from an antiquated approach to substance use prevention. State and federal funds, she said, have often been divided into separate categories of prevention, treatment, and violence. Boston’s goal now, she said, is to approach all of those efforts holistically. “We wanted to step back and move away from the silos — develop strategies in all neighborhoods, work with communities to understand the connection between substance use, trauma, and violence,” Tracey said at the event. The plan calls for expanding coordination among city departments and with local service providers, focusing on prevention work, trying new messaging strategies, improving access to care, and partnering with academic institutions and other partners to study and advance efforts. The report suggests creating a new position in Tracey’s office to oversee youth prevention efforts and expanding youth employment and education opportunities. The city’s Office of Recovery Services was established in 2015 and initially focused on substance abuse issues affecting people over 18, Tracey said. With the help of a grant from Blue Cross Blue Shield of Massachusetts Foundation, work began on the youth report in February 2017. Peter Slavin, president of Massachusetts General Hospital, which worked with the city in producing the report, said the hospital will support the plan’s implementation and contribute $1.3 million toward that effort. “The best way to treat addiction it to prevent it first of all, and that’s what we’d like to do,” he said.